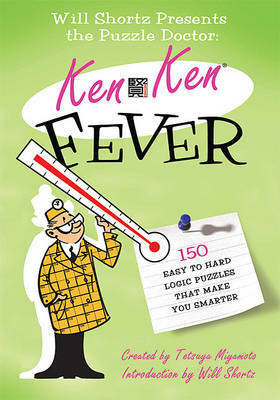 KenKen mania is sweeping the nation! The only cure is more puzzles. 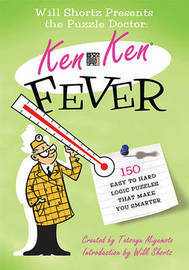 Enjoy this volume of 150 easy to hard KenKen puzzles that range in size from 6x6 to 9x9. TETSUYA MIYAMOTO, the creator of KenKen, is a math teacher who runs a unique mathematics class for grade school children in Japan where he practices "The Art of Teaching Without Teaching." His teaching method and use of KenKen in his classroom has proven extremely successful. His students regularly go on to be accepted at the most prestigious schools in Tokyo.WILL SHORTZ has been the crossword puzzle editor of "The New York Times" since 1993. He is also the puzzlemaster on NPR's "Weekend Edition Sunday" and is founder and director of the annual American Crossword Puzzle Tournament. He has edited countless books of crossword puzzles, Sudoku, KenKen, and all manner of brain-busters.